As in many small towns, Nailsea has a minority of drivers causing unnecessary risk to residents through extreme excess speeding. Speeds as high as 72mph have been recorded near schools and parks. Although the offenders are a small minority, speeds more than 50 and 60mph are recorded regularly around Nailsea. Collisions have happened over recent years, as well as many near misses, because pedestrians simply don’t have enough time to cross the road when a car approaches at motorway speeds. Nailsea Community Speedwatch (CSW) are a team of local volunteers who operate on behalf of the police. Neither CSW or the police operate to raise funds, or to persecute normal drivers – they are there because of extreme and reckless driving which is a daily occurrence in Nailsea. 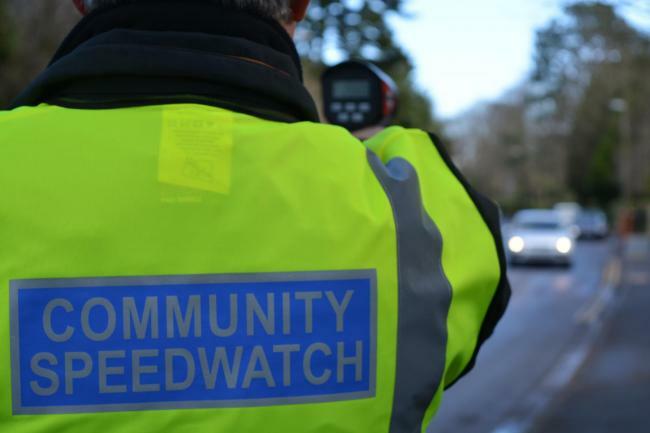 Speeders receive reminder letters rather than endorsements, but the police also record details from CSW on a database so that repeat or serious offenders are dealt with appropriately.